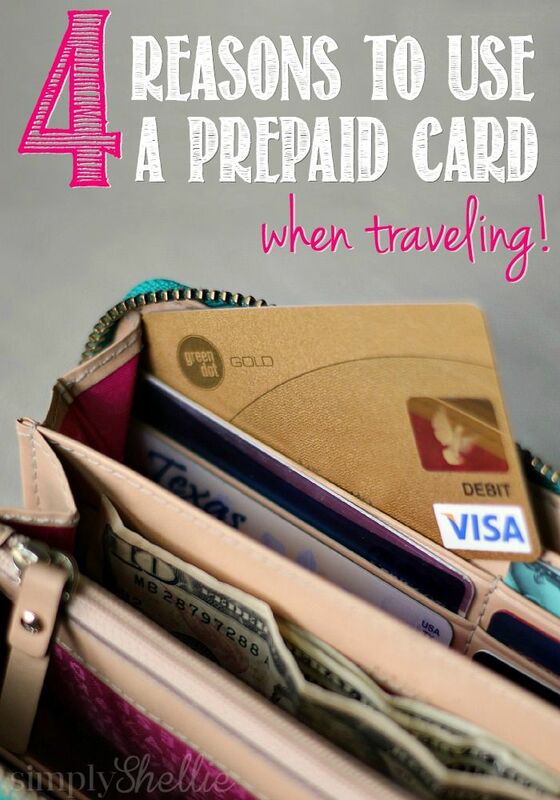 Last month I shared with you Everything I Think You Need To Know About Using a Prepaid Card When Traveling. 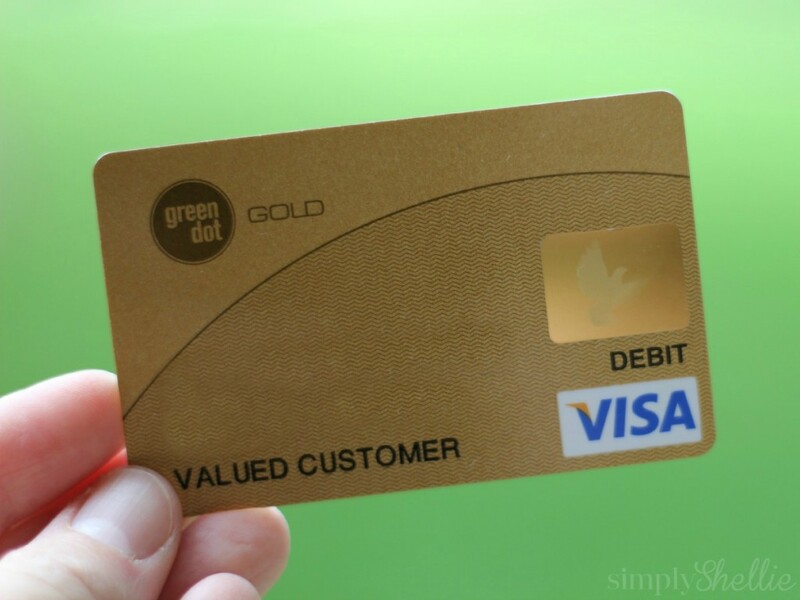 This month I teamed up with Visa Clear Prepaid to bring you more reasons why I think you should leave your cash and traditional credit cards at home and take a prepaid card like the Green Dot® Reloadable Prepaid Visa® Card with you on vacation. Here are 4 reasons I think a prepaid card is your must-have travel companion. Vacations can be really expensive and without a budget I know my family would easily overspend. Simply load your vacation budget straight onto a Green Dot® Reloadable Prepaid Visa® Card. This way there is no bill shock when you get home. You know how much money you will spend. If you use all your funds before the end of the trip, you can load more. However you’ll have that nagging reminder that this extra money is above and beyond your budget. This may make you more discerning in your purchases. If you use the cash envelope system for your day-to-day purchases, a prepaid card is a great option when traveling. You can save all year like usual but instead of carrying an envelope full of cash on your trip, you can buy a Green Dot® Reloadable Prepaid Visa® Card. It’s more secure than carrying cash and you can also book things like plane tickets, amusement park passes and other activities online. Using a prepaid card you have the convenience of a card while still maintaining your “credit card free” lifestyle. Did you know that the Green Dot® Reloadable Prepaid Visa® Card, part of the Visa Clear Prepaid program has security features that are similar to a debit or credit card since it’s protected by a pin and signature. You can spend with confidence knowing that even if your card is compromised at the roadside smoothie stand in Smalltown USA you’re protected because prepaid cards that are part of the Visa Clear Prepaid program come with Visa’s Zero Liability* fraud protection. It’s always a good idea to carry cash with you on vacation. You need it for tipping and the occasional cash-only establishments. Rather than try to figure out exactly how much cash you need in advance, use a prepaid card! 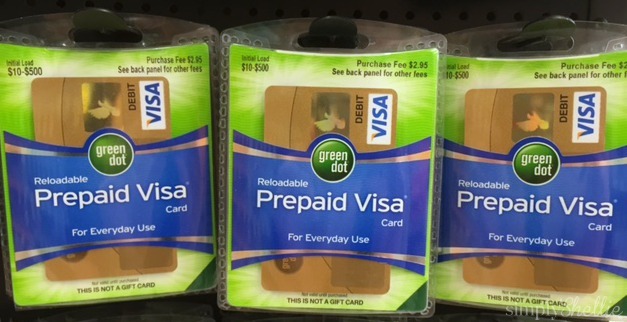 The Green Dot® Reloadable Prepaid Visa® Card can be used for free at MoneyPass ATM locations and for cash back transactions. So you can take out just enough cash, straight from your vacation budget. This is also an excellent way to get local currency when traveling internationally. If you are planning to use a Green Dot® Reloadable Prepaid Visa® Card when traveling, here are a few things you should keep in mind. You should not use a prepaid card to book a hotel room or rental car. Hotels and rental car agencies will reserve funds on your account as a deposit to ensure you have enough to cover the balance of your stay/rental. Your money will be unavailable during this time. If you want to book a hotel stay or rental car on your prepaid card, it’s best to book online in advance through a pre-pay third party site. Then at check-in, provide a different form of payment for the incidentals. Gas stations can also reserve funds on your account. I recommend just using cash! I mentioned above how you can use your Green Dot® Reloadable Prepaid Visa® Card to get cash at ATMs and through cash-back transactions. While the name says prepaid card and carries the Visa brand, these cards do not provide credit. There is no credit check when you purchase one and alternatively it does not help you build credit. There are fees associated with pre-paid credit cards. However cards that are part of the Visa Clear Prepaid program are designed to have an easy-to-understand fee plan. Plus, some of the fees are avoidable by requesting a card online, setting up direct deposit, using partner ATMs and meeting a transaction threshold each month (monthly fees still apply). With less confusion around fees, the Green Dot® Reloadable Prepaid Visa® Card helps make time for what matters most. For your next family vacation, consider using a Visa Clear Prepaid card like the Green Dot® Reloadable Prepaid Visa® Card. 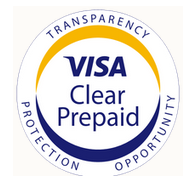 Cards meeting the Visa Clear Prepaid standards provide you with transparency and consumer protection. Visit Visa.com/visaclearprepaid to find the prepaid card that works for you. This is a sponsored post written by me on behalf of Visa Clear Prepaid and Green Dot® Reloadable Prepaid Visa® Card. These are some really great points! Thanks for the good suggestions.